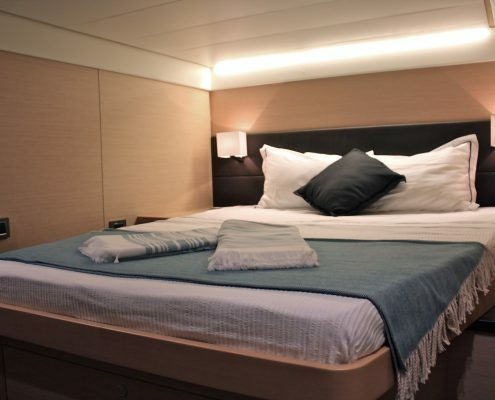 On a luxury crewed yacht charter, the crew makes all the difference. This is particularly true in the Mediterranean. 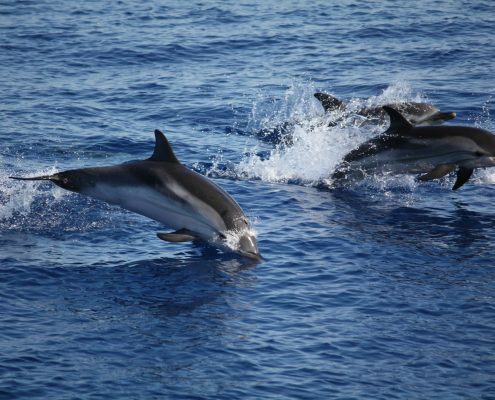 Being familiar with the areas you are exploring and taking your guests to the safest and most beautiful anchorages count every bit as much as the luxury boat charter itself on a five-star boating holiday. 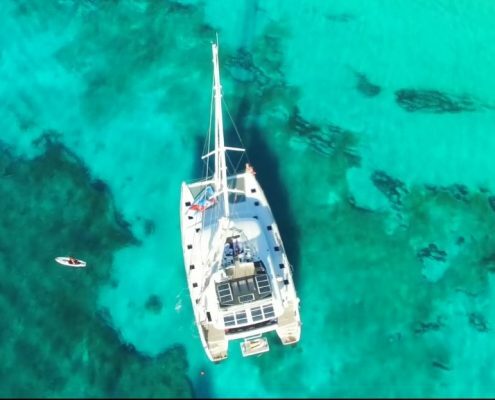 The charters offered by the catamaran Kaskazi Four (18.9 metres in length, 10 guests in 5 two-berth cabins) are a case in point. 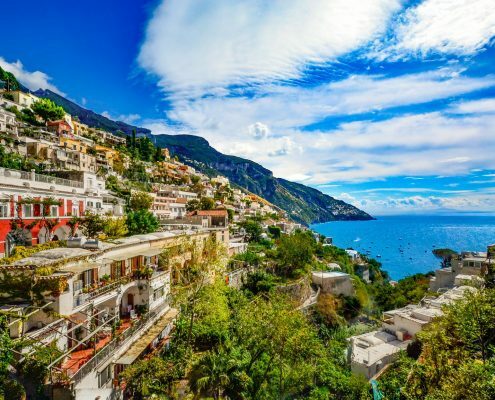 This summer she is sailing the Aeolian Islands and, on request, can also explore the Amalfi Coast, manned by a crew that knows every inch of the very best routes and hidden delights of the area. 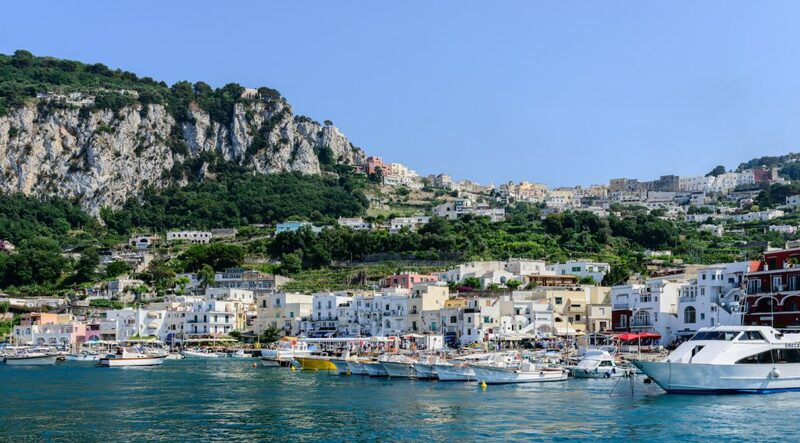 For summer 2017, which in the South of Italy extends all the way to October, Kaskazi Four’s crew will be serving up the Aeolians as their “signature dish” but on request can also take in the Amalfi Coast, Ischia, Capri, the Pontine and Flegree Islands (Ponza, Ventotene, Palmarola), and Palinuro. Their greatest strength is their in-depth knowledge of the areas they explore with their clients, and, of course, the quality of the service aboard. 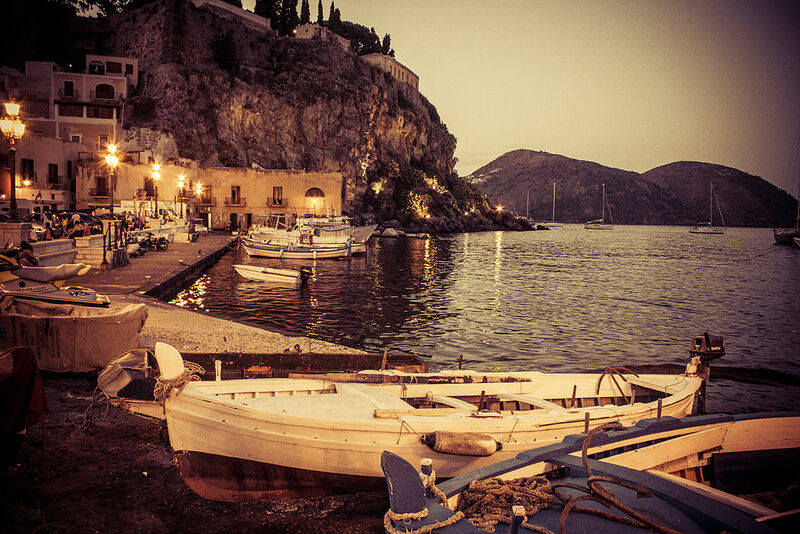 Chef Nadia, for instance, whips up an array of culinary delights that brilliantly reflect the tradition and authenticity of the Aeolian Islands. At 6.30 each morning, the tantalising aroma of fresh crepes and brioches waft deliciously through the yacht. The wonderful smells and flavours continue from lunch until dinner as more local specialities appear: grilled aubergines baked in tomato sauce, Aeolian-grown vegetables, lasagne, stuffed squid, stuffed savoy cabbage rolls or maybe even a seafood risotto topped off with courgette fritters (traditional Sicilian and Calabrese dishes). 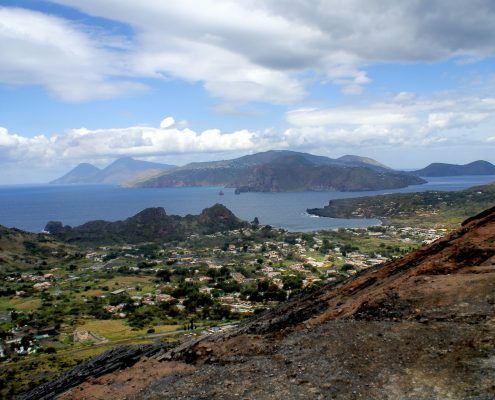 The seven Aeolian Islands are fascinating on many different levels and have a strong Mediterranean character all of their own. The architecture of the villages and the uniquely clean, transparent sea are still beautifully pristine with spectacular anchorages. There are also endless archaeological sites and old trails that makes for excellent excursions and hiking. A great example is the Sciara del Fuoco on Stromboli, a still active and incredibly fascinating blackened lava scar on the north side of the island. 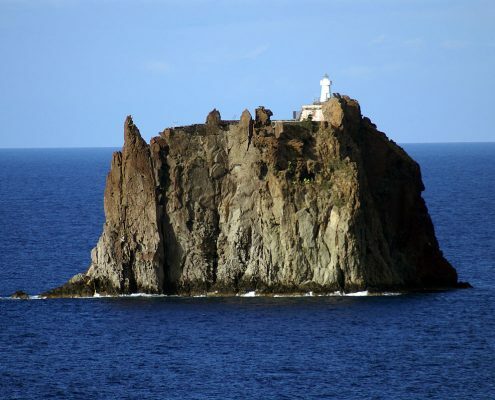 On average, the islands are separated by just 10 kilometres which means that Kaskazi Four can easily flit from one to the other in about an hour and a half. Kaskazi Four’s typical summer 2017 charter itinerary takes in all seven of the Aeolian Islands over seven days. Families and groups of friends are welcome as are teenagers and children – in fact, Captain Rinauro loves introducing the latter to the art of sailing. 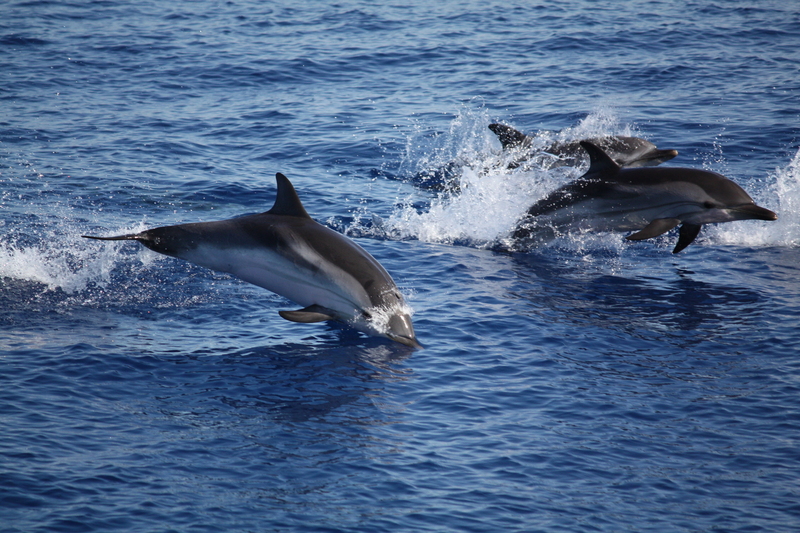 So all in all, Kaskazi Four is a genuinely family-friendly boat, perfect for all ages and cruising requirements. 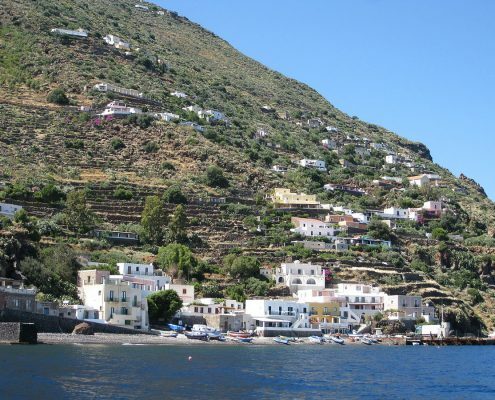 For the Aeolian Island cruises, embarkation is at Milazzo; alternatively, you can choose to take a water taxi out to this luxury crewed yacht charter. 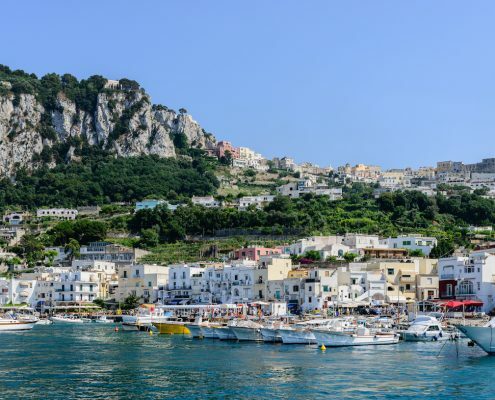 If you decide on an Amalfi Coast charter, however, you will embark at Salerno which means you’ll be on the spot at once and get to spend all your time exploring Cetara, Amalfi, Positano, Capri, Sorrento, Ischia, Ponza, Ventotene and Palmarola. 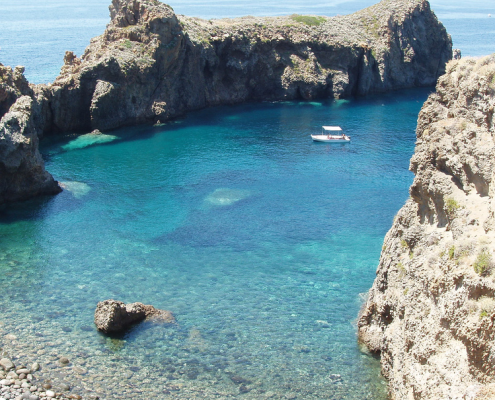 Flight to Catania where the Kaskazi Four will organise your transfer from Milazzo to the Marina di Poseidon. 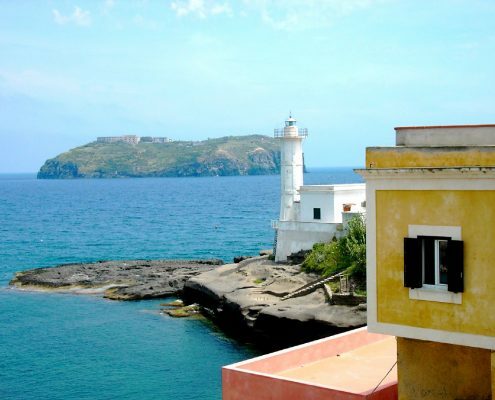 From there you cast off for Vulcano, 10 miles away, where you will anchor in Gelsi Bay. 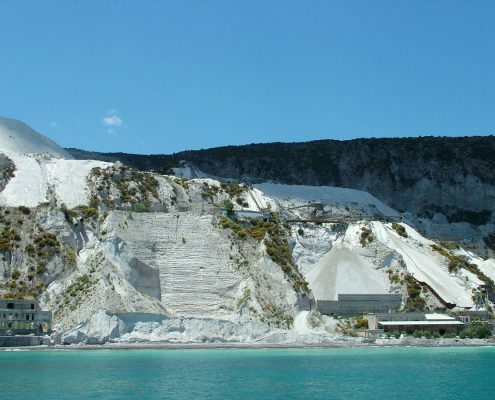 Once we have downed anchor, you can either take an excursion to the crater, swim in the sulphur-rich natural pools or visit the famous Grotta del Cavallo and the other fascinating sea caves in the area. Sail on to Panarea. 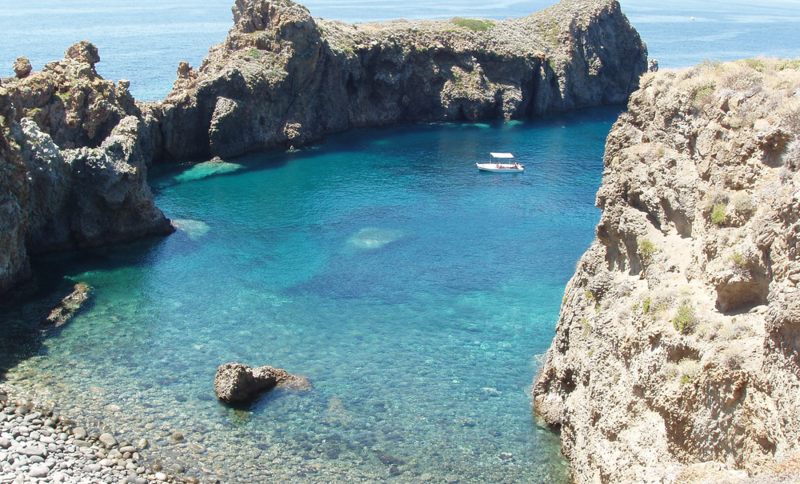 Stunning anchorages, swimming and snorkelling in uniquely beautiful bays strewn with islets and walled by rocky cliffs, visiting the prehistoric village at Cala Junco and, last but not least, an essential stop-off at the lovely Panarea. 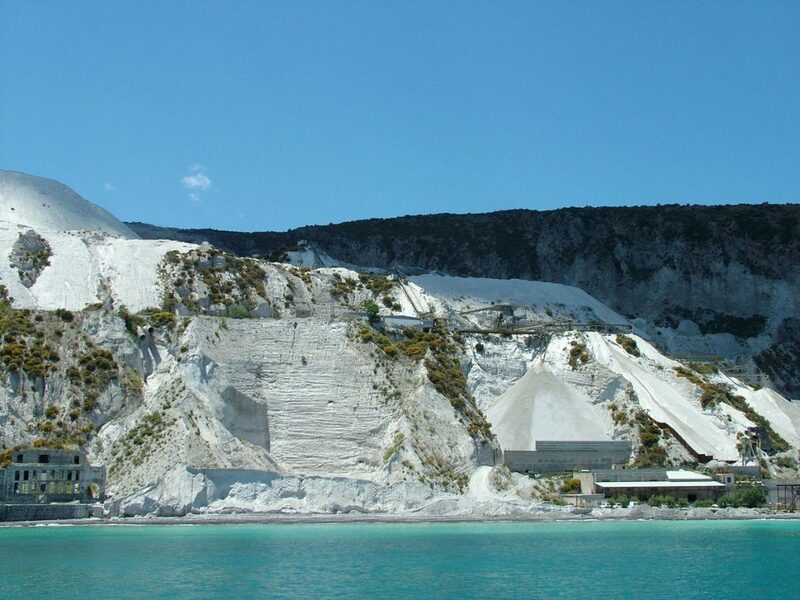 Another must is a call to the little island of Basiluzzo and a visit to the archaeological site at its summit. An hour’s walk to Punta Corvo also delivers unique views of the surrounding islands. 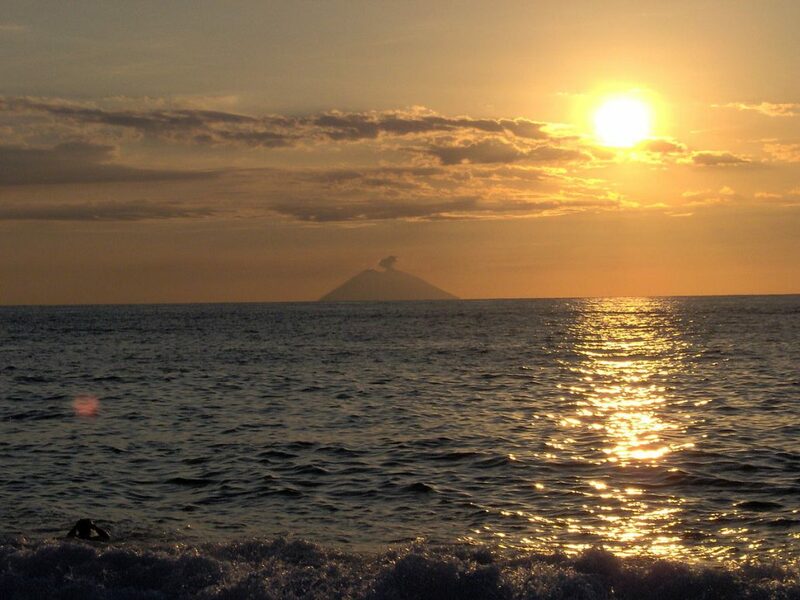 Sail on to Stromboli. 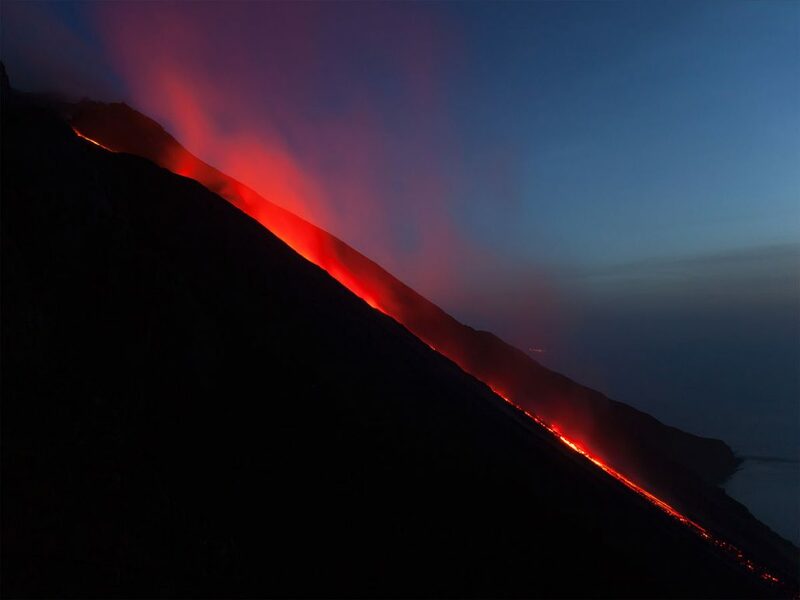 Discovering Stromboli means many different things: climbing to the top of the Strombolicchio and visiting its lighthouse, having fun on the black volcanic sandy beaches, watching the sun go down in remote Ginostra, seeing the smoking lava scar and the active volcano up close. 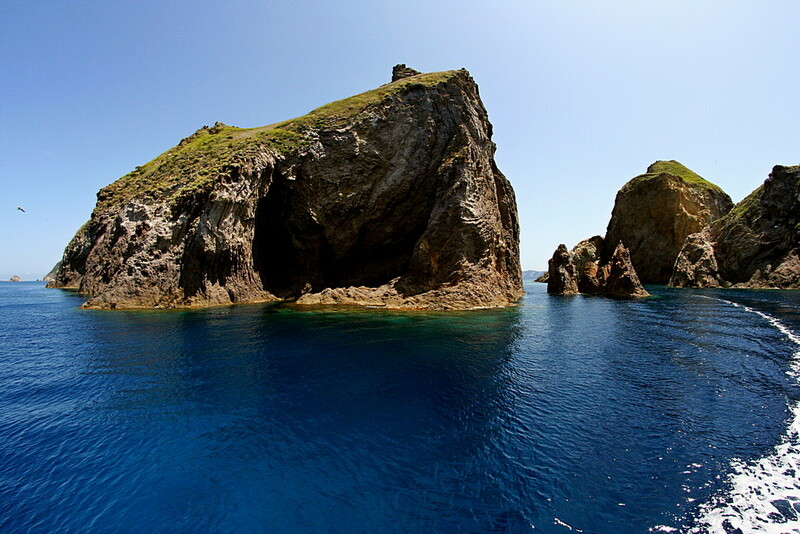 Doing all of that from the sea aboard a luxury yacht charter of the calibre of Kaskazi Four just adds to the experience. 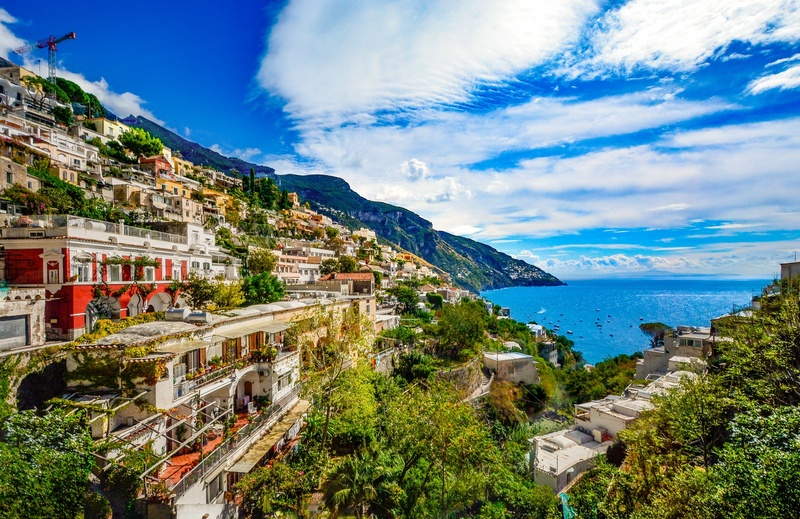 Once you have disembarked, you can stroll the tiny alleyways of the ancient village and then retire to the L’Osservatorio for dinner with views of the volcano and its legendary lava scar spread out before you. On to Salina. The first anchorage we meet is in the Bay of Pollara. 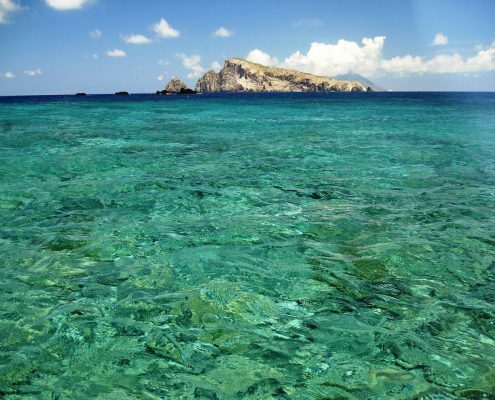 There you will swim and snorkel immersed in absolute peace and solitude. 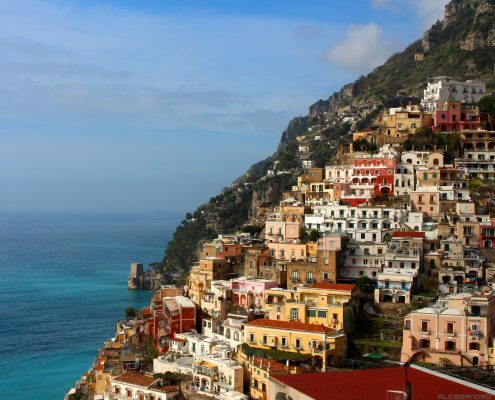 It is worth spending the day there, in fact, and topping off the experience with a call to the charming traditional port of Santa Marina. Another worthwhile visit with Kaskazi Four’s skipper is to the vineyards of the local winemakers where you will enjoy tastings and can purchase bottles to take home. There is an excellent choice of restaurants for dinner ashore too and the skipper recommends the Portobello and Il Faro in particular. 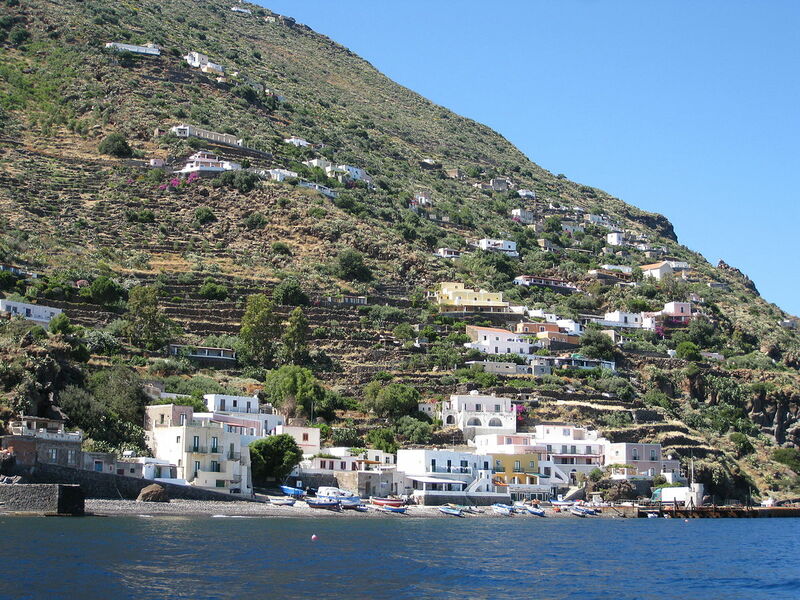 On to Filicudi. 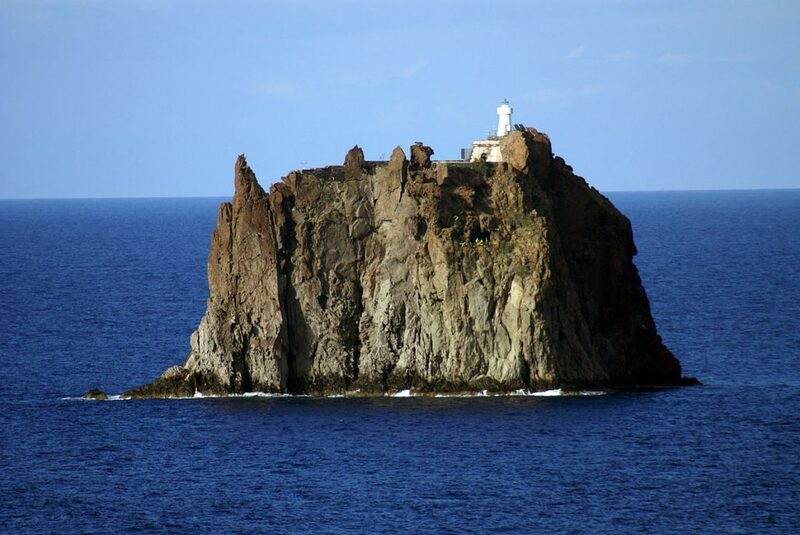 The classic anchorage is at the finger-like volcanic rock known as La Canna – you’ll never forget it. 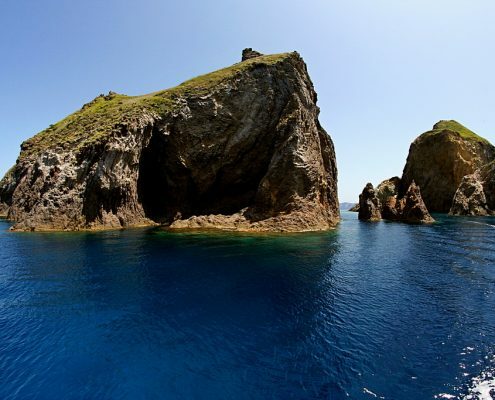 You’ll swim and snorkel in a turquoise green sea with the spectacular Bue Marino sea cave well within reach. 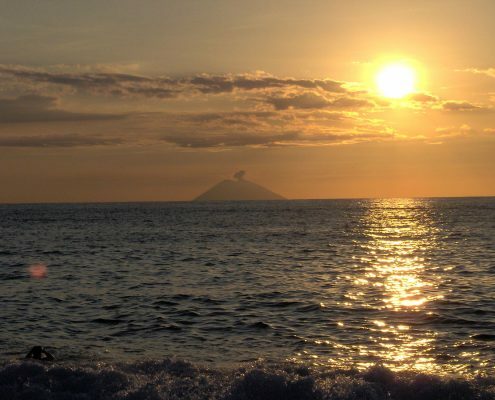 The many excursions offered aboard always include one to the Capo Graziano archaeological site where the sunsets are particularly magical. 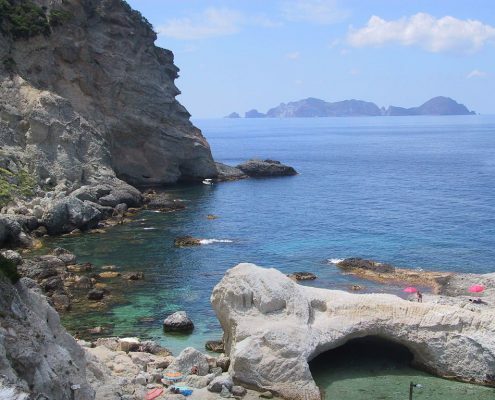 This Palaeolithic site embraces 5,000 years of history and is one of the most magical spots in the Aeolians. 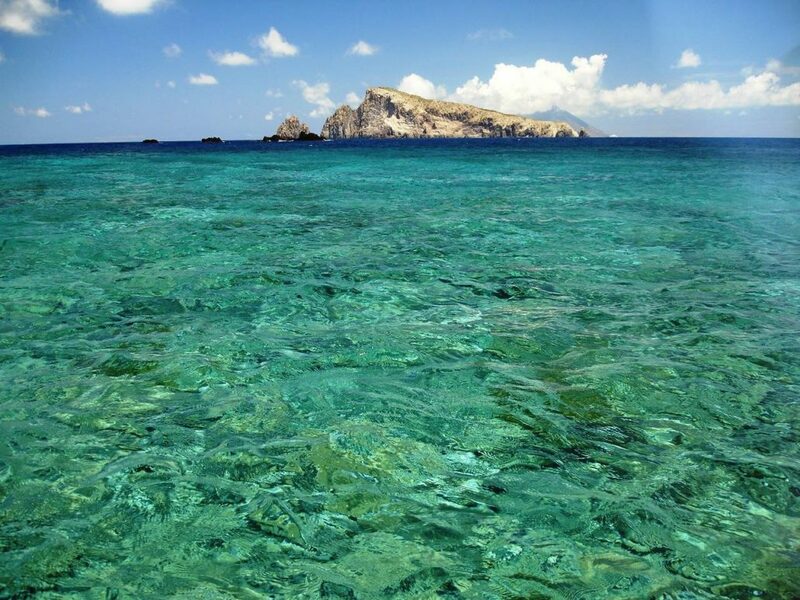 In the afternoon, we normally sail on to Alicudi, the most remote island in the archipelago. Here Kaskazi Four’s skipper suggests his guests have dinner with Silvio, the island’s best fisherman who does fantastic fish-based barbecues and other Sicilian specialities to accompany the mains. 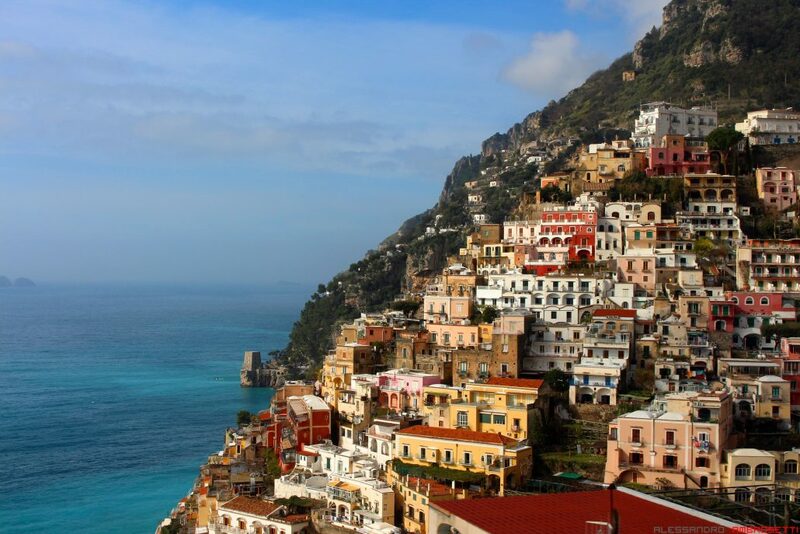 Alternatively, they can dine at the famous La Sirena restaurant on the beach in the fishing village of Pecorini. 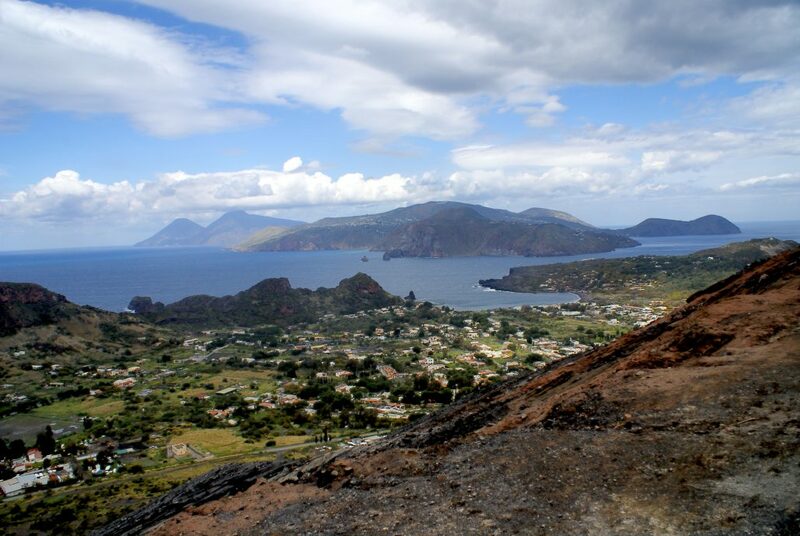 On to Lipari. 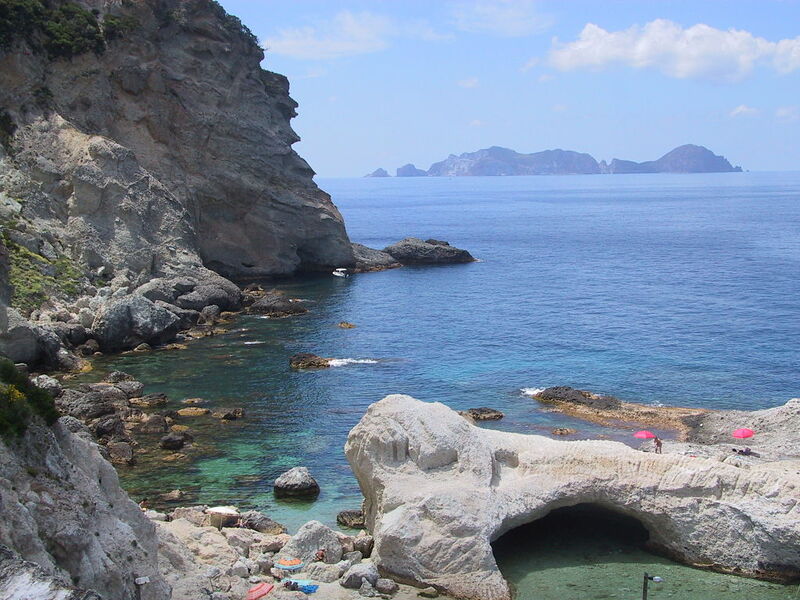 With one of the finest archaeological museums in the entire Mediterranean and the magnificent Duomo di San Bartolo cathedral, I couldn’t fail to include Lipari in this log. 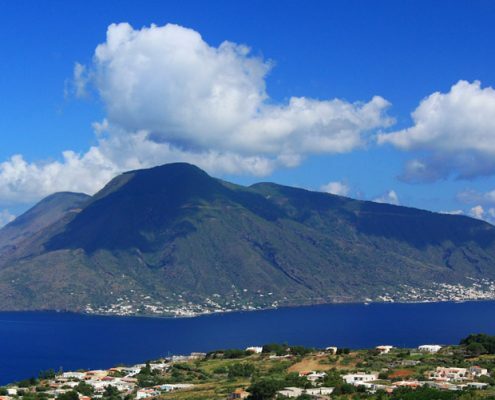 Sailing around Lipari and discovering its magnificent coastline, sea stacks and caves, beaches and anchorages is a truly unique experience. 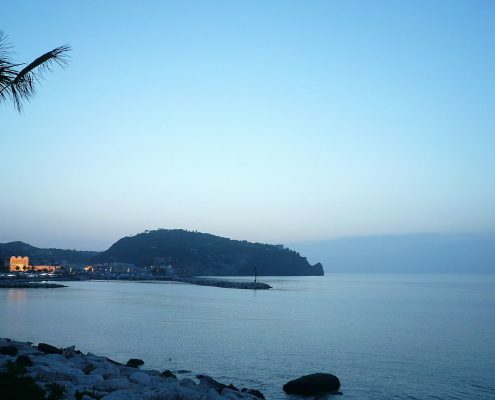 Lunch served on the beach by “Attila”, Vallemuria’s hermit chef, is worth the stop-off alone, while Marina Corta and its movida reveal the other side of the island’s personality. 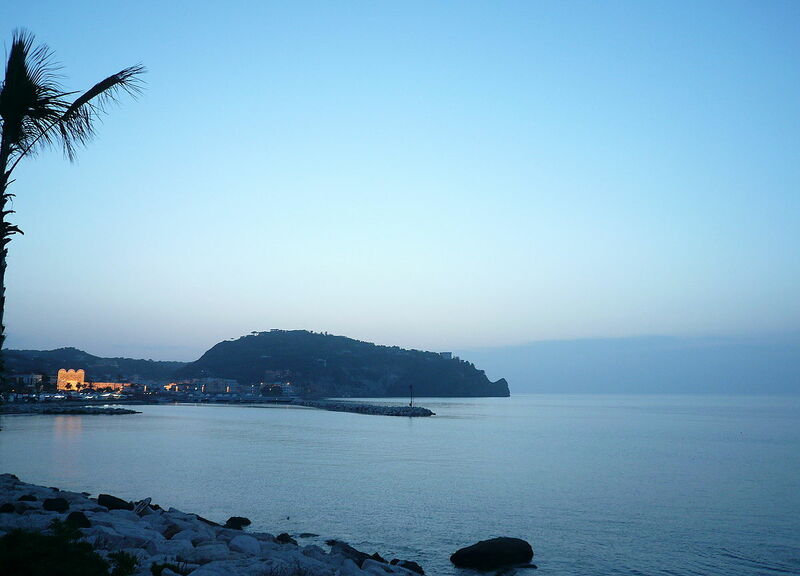 Return to Milazzo after one last swim. 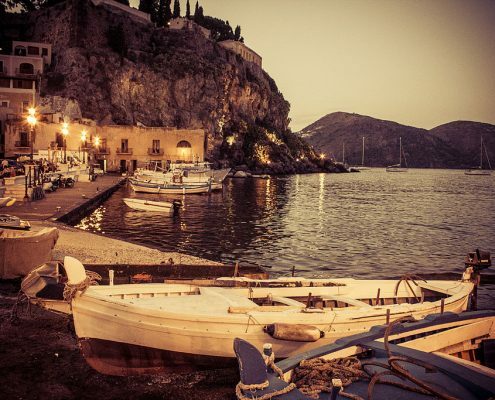 Clients normally like to spend a night ashore in Taormina to round off their holiday before heading home from Catania. And once again, the Captain will be able to advise on the best places to stay.